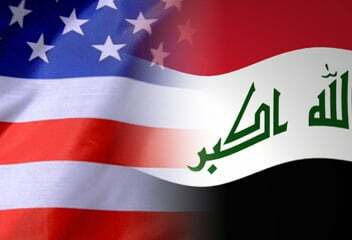 Iraq will turn to Iran, Russia, and Syria for military support if the United States does not provide Baghdad with what it needs to face Takfiri militants, says Iraq’s ambassador in Washington. Lukman Faily said at the Carnegie Endowment for International Peace in Washington on Tuesday that the Iraqi government has to take any aid available because of the threat from the al-Qaeda splinter Islamic State of Iraq and the Levant (ISIL). Washington has announced plans to deliver F-16 fighter jets and Apache helicopters. Last week, Russia delivered 12 fighter jets to the crisis-hit country. The crisis in Iraq escalated after the ISIL militants took control of Mosul, in a lightning advance on June 10, which was followed by the fall of Tikrit, located 140 kilometers (87 miles) northwest of the capital Baghdad. An estimated 1.2 million people have been displaced in Iraq so far this year, according to the United Nations. The ISIL has vowed to continue its raid towards Baghdad. Iraqi Prime Minister Nouri al-Maliki has said that the country’s security forces would confront the terrorists, calling the seizure of Mosul a “conspiracy”. Soldiers of the Iraqi army have been engaged in heavy fighting with the militants on different fronts and have so far been able to push back militants in several areas.